This week's studies in geology involve the rock cycle. 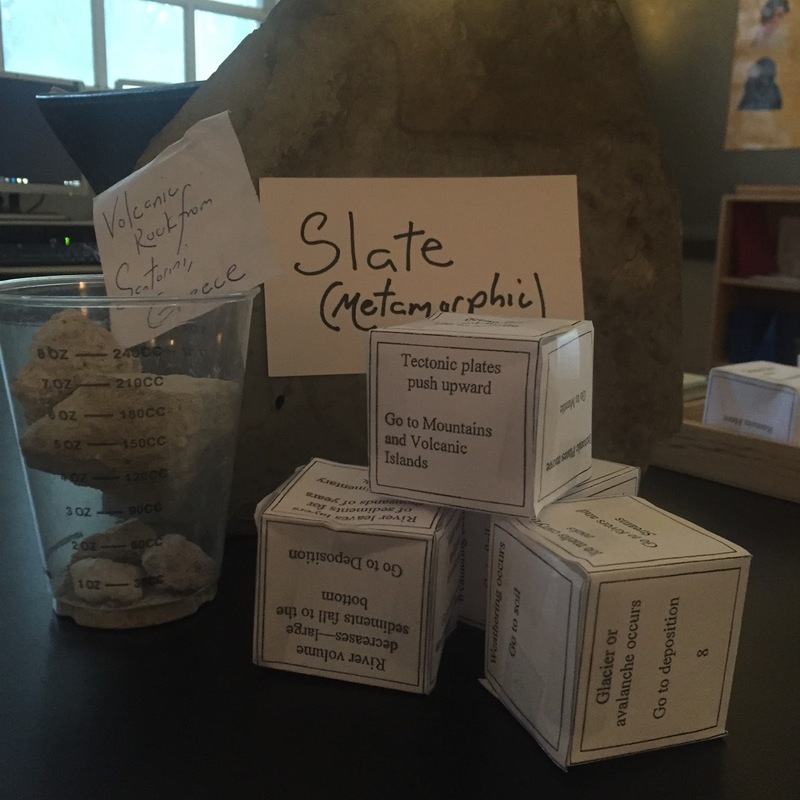 In addition to actual metamorphic, igneous, and sedimentary rock specimens we have on our science shelf we created a model of the rock cycle. 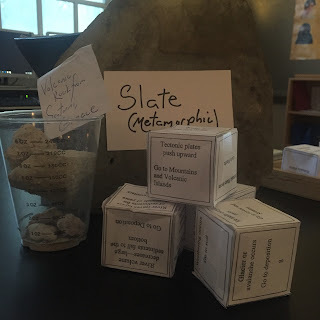 This rock cycle model consisted of a series of dice that allowed us to travel millions of years in just a couple of minutes to see the endless ways a rock can change throughout the centuries. Some students have even been inspired to create narrative writings all about their experience changing from one rock to another!